Standing Up, Speaking Out | Bookworms | Kids VT - small people, big ideas! In 2010, while Ann Braden was camped out on the couch with her preemie son, she read Louise Erdrich's memoir of early motherhood, The Blue Jay's Dance. Inspired by the author, Braden experimented with creative writing. 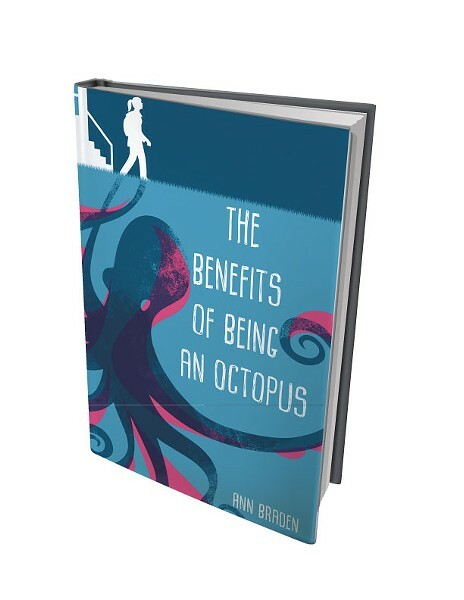 In September, Braden's debut novel, The Benefits of Being an Octopus, hits bookstore shelves, with a starred review from School Library Journal. The book, geared to ages 8 to 12, features 12-year-old Zoey, who lives in a Vermont trailer park with her two younger siblings and their single mother, a waitress at a pizza joint. With the encouragement of a teacher, Zoey overcomes her fear of joining the school's debate team and discovers her emerging voice as she begins to speak out against injustice. A former middle school social studies teacher, Braden has used her own articulate voice in forums outside of writing. 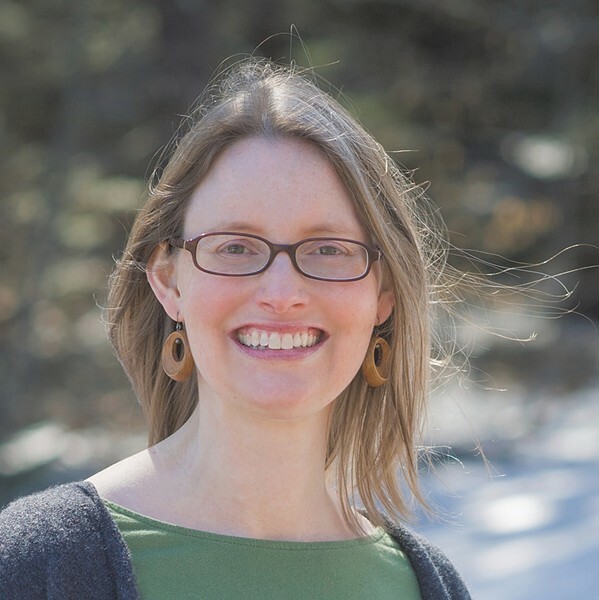 In 2013, in the wake of the Sandy Hook shooting, she founded Gun Sense Vermont, a grassroots organization dedicated to changing state gun laws. Three years later, she launched the Local Love Brigade, which coordinates group postcard writing to support people who have been targeted by hate. After receiving anonymous hate mail, the Islamic Society of Vermont received the Brigade's first batch of cards. From her Brattleboro home, Braden, the mother of a 5-year-old daughter and an 8-year-old son, spoke with Kids VT. KIDS VT: What do you hope your book accomplishes? Ann Braden: It's important for kids to see themselves in books, and a lot of kids in rural Vermont do not see themselves in books. I got these removable octopus tattoos for school visits, and I'm a little obsessed with them at the moment. For (main character) Zoey, the octopus reminded her of her inner strength. I tell kids these can remind them of their inner strength and that you can be stronger than you think. A girl came up to me (after a school visit) and told me she was going to save her tattoo for when her cat died, and I thought, Oh my gosh. KVT: Could you elaborate on how speaking up and listening are themes that extend beyond your writing? AB: Gun Sense Vermont is an example of me being put in a situation where I would never have put myself. I didn't necessarily think I was the right person to do it, but there was no one else doing it. So I think — like Zoey — I knew this is the right thing to do, and I've got to do it... I found out I was so much stronger than I would have thought. I mean, it's a huge transformation for me. I was shy and sensitive beforehand. Now, I am not those things. KVT: You received some fierce criticism from people who opposed your position on changing Vermont's gun laws. AB: I think what helped me was that I felt really good about the approach I was taking. I was holding up the common ground, and I was a champion for civil discourse and for having a deliberate and reasoned conversation about a difficult topic. Those are the things I was waving the flag for. Having that framework kept me going. KVT: Tell us about the Local Love Brigade. AB: It feeds your soul. That got started soon after the last presidential election ... when it was already obvious that hate was emboldened. I knew we could do something right now to push back against hate... You have to say No, that's not what I believe. You have to call it out. KVT: What draws you to bringing people together? AB: I majored in Russian in college, and I read a lot of Soviet works, and I knew a lot of Russian history. One of the things that always stands out is how isolated people were, and how powerless people are when they're isolated. I think it comes from this desire to keep our society healthy and on the path toward justice. We're not going to make it as individuals on our own. It only happens when we're together. Braden's book launch features a short reading, food from her novel (including saltines with Easy Cheese), octopus cupcakes, stickers, tattoos and more. Friday, Sept. 14, 5-7 p.m., at the Brattleboro Museum & Art Center, 10 Vernon St., Brattleboro. Donations benefit the Women's Freedom Center, an organization working to end domestic and sexual violence in Windham and southern Windsor counties. Find more events at annbradenbooks.com.